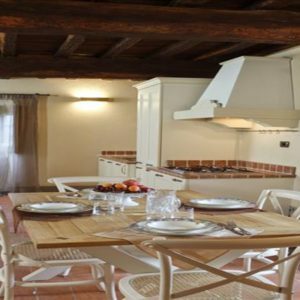 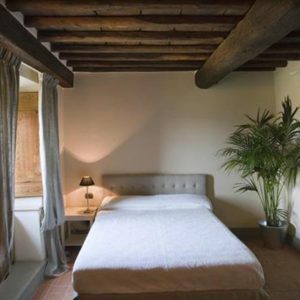 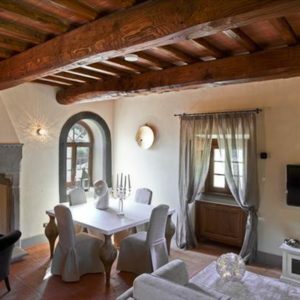 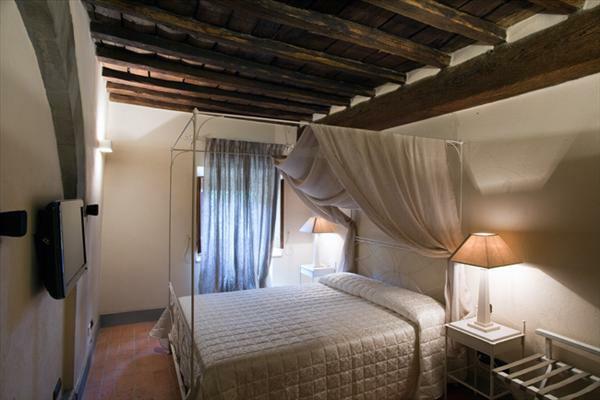 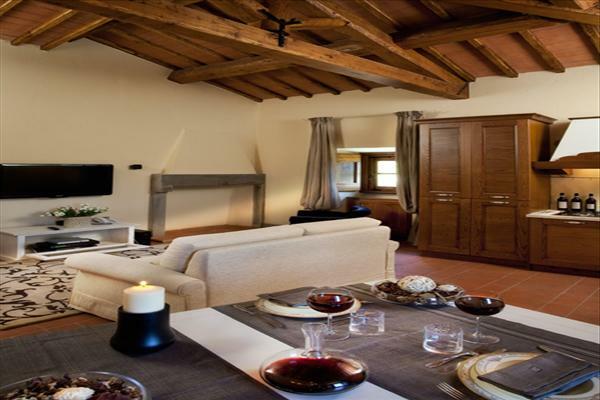 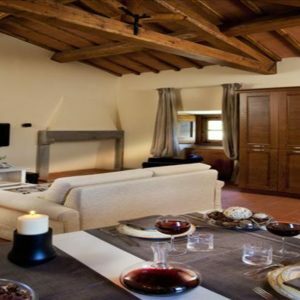 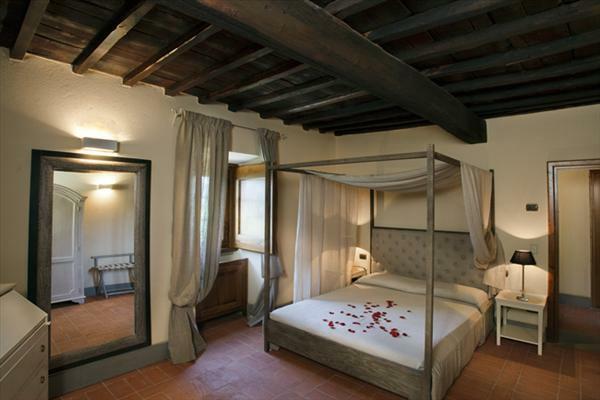 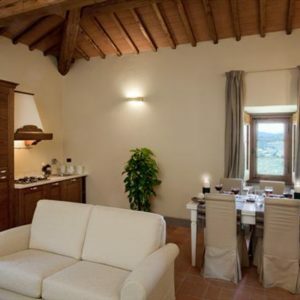 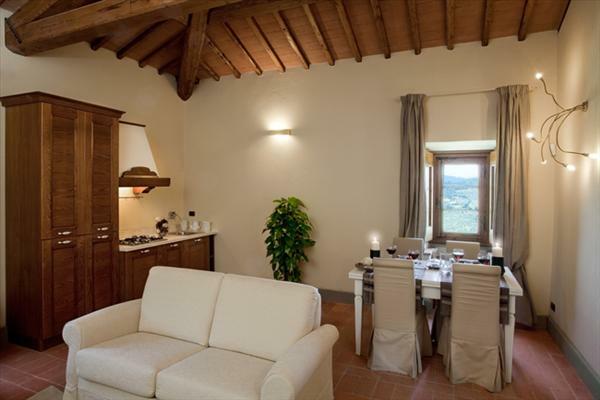 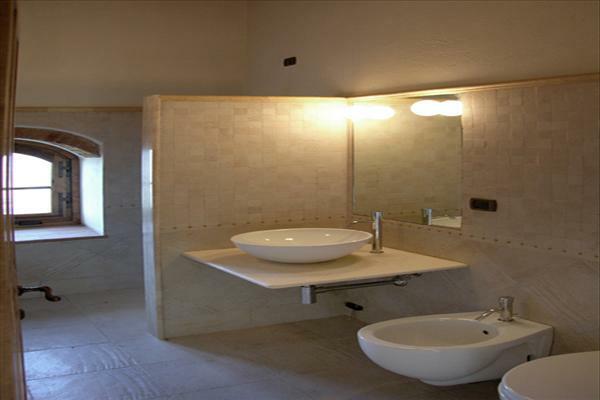 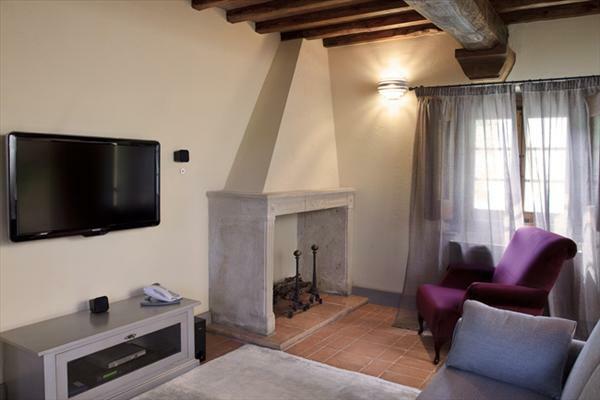 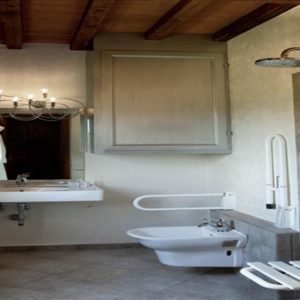 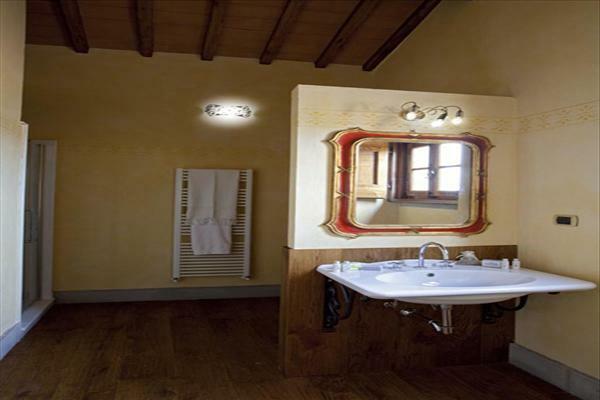 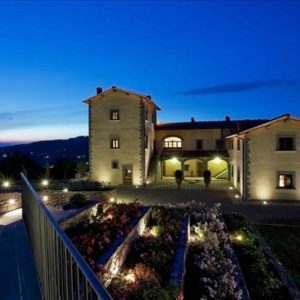 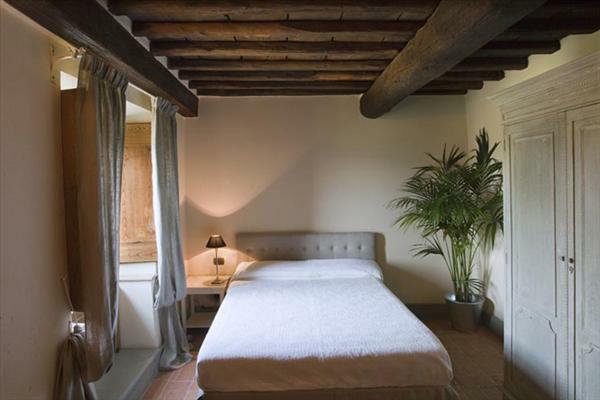 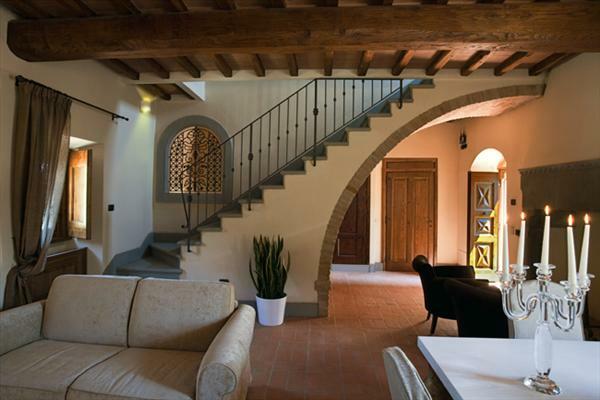 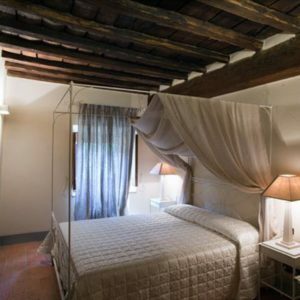 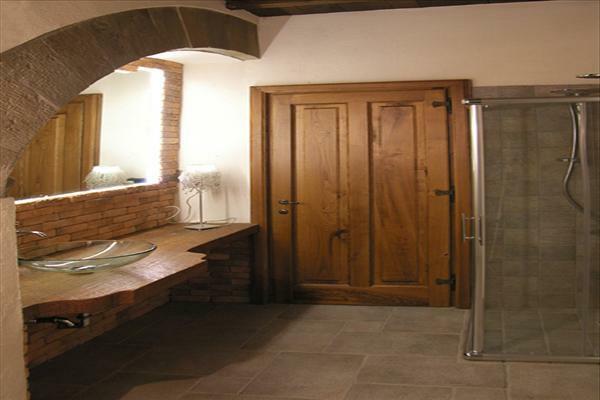 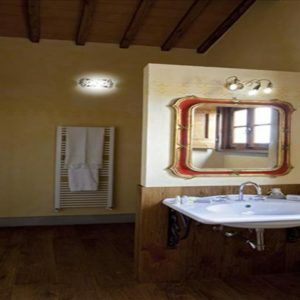 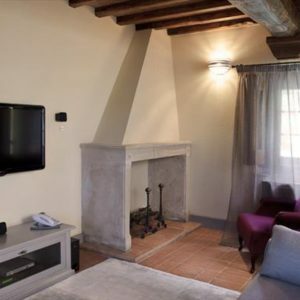 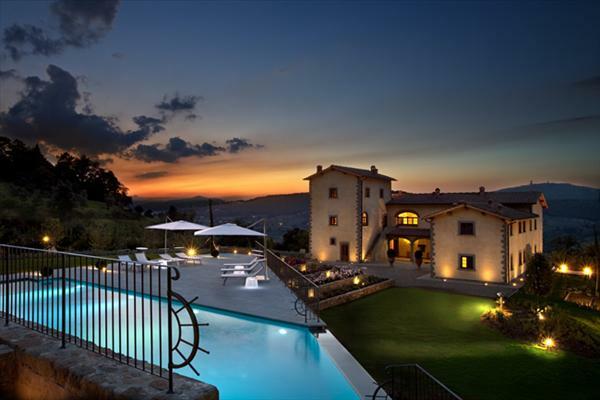 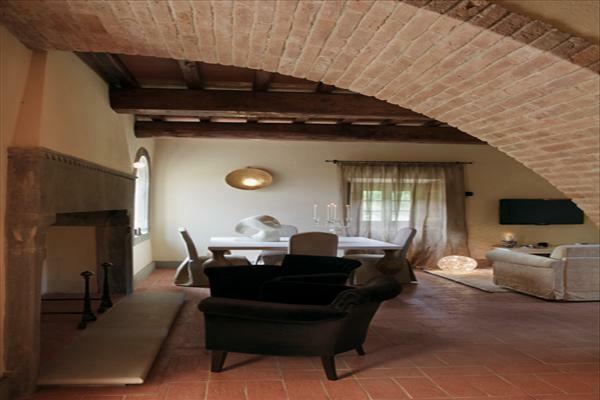 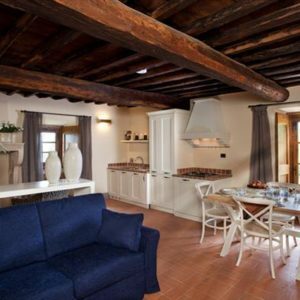 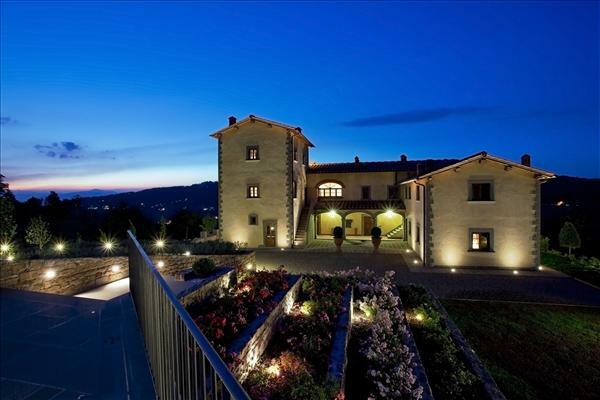 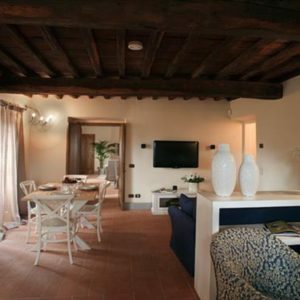 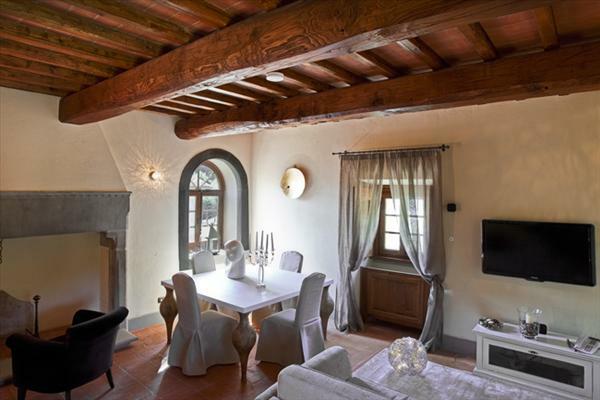 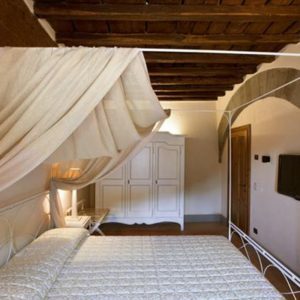 This refined and prestigious country resort is situated on the Florentine hills. 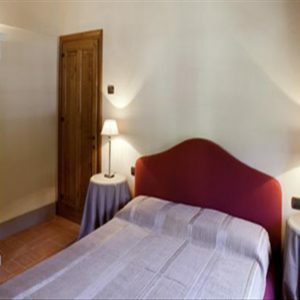 The resort is made up of seven exclusive suites with every comfort and a large park bordering a forest of chestnut trees in which there is a spectacular swimming pool with waterfall and hydro massage. 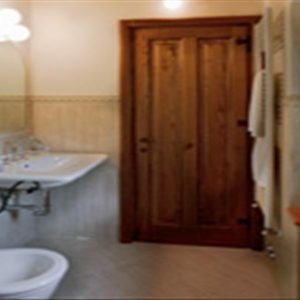 All apartments are elegantly furnished and equipped with electronic card access, home automation system for overall management of the apartment, air conditioning, heating, telephone, LCD TV (in the bedroom 32 ‘and in the leaving room 42’) with sky cinema and Sky pay TV, home theater system with DVD and CD player, safe box, kitchenette (dishwasher and fridge, microwave oven, coffee and tea maker), a bathroom with shower, hair dryer, toiletries, bathrobe, slippers. 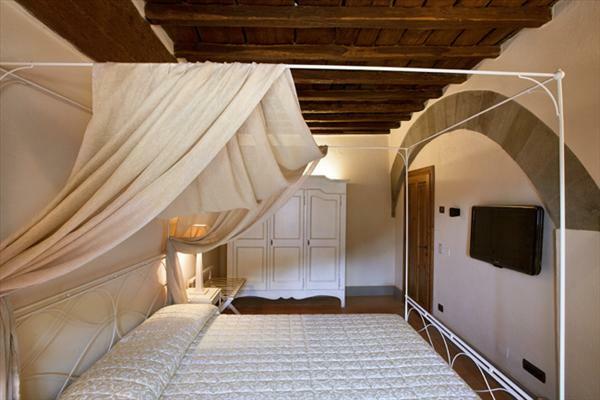 All linens are included in price and, for weekly rentals, are changed twice a week. 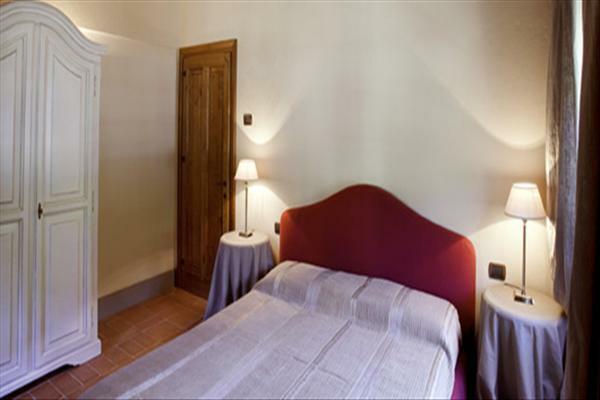 Sleeps 2 + 1 adult, or 2 children. 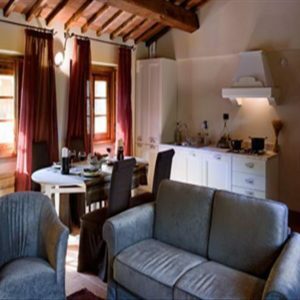 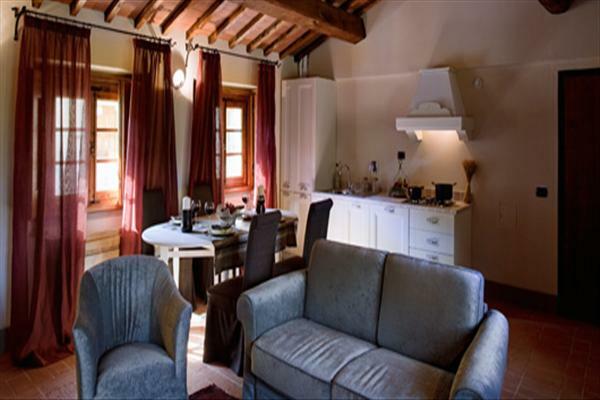 The apartment is located on the first floor and is made up of a living room with a dining table and a sofa bed (120 X 190), a kitchenette, a double bedroom and a bathroom. 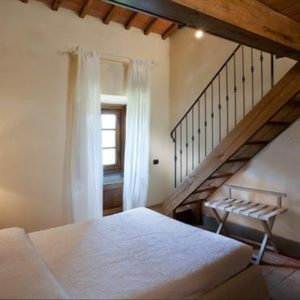 SLEEPS 2 + 1 adult, or 2 children. 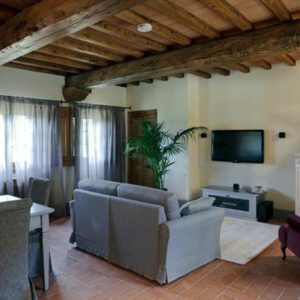 The apartment is located on the ground floor of the tower and is made up of a living room with a dining table and a sofa bed (120 X 190), a kitchenette, a double bedroom and a bathroom. 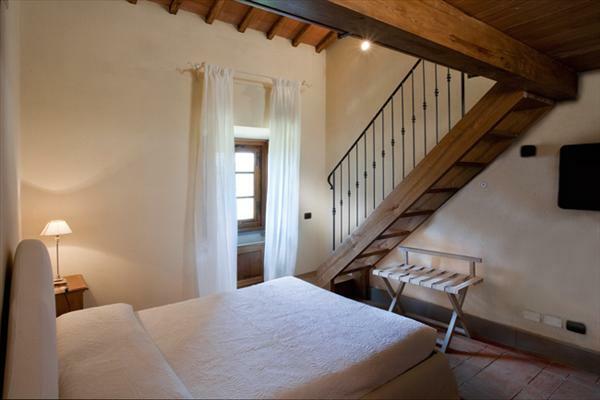 SLEEPS 2 + 2 adults, or 4 children The apartment is located on the first floor, near the tower. 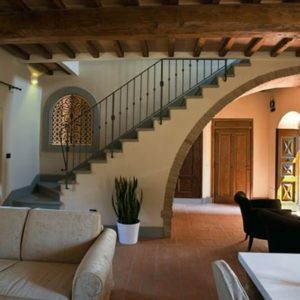 It is made up of a living room with a dining table and a sofa bed (120 X 190), a kitchenette, a double bedroom with a sofa bed (120 X 190) on the mezzanine and a bathroom. 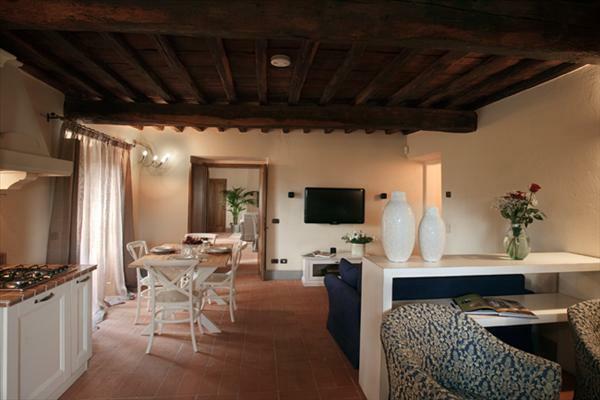 This apartment can be combined with Apartment 6 to accommodate larger families (this combination sleeps 5 + 3). 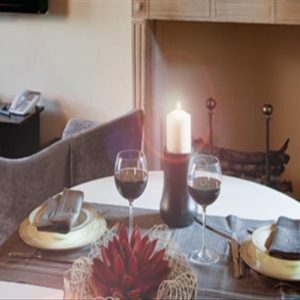 Disabled Accessible SLEEPS 2 + 1 adult, or 2 children The apartment is located on the ground floor and is made up of a living room with a dining table and a sofa bed (120 X 190), a kitchenette, a double bedroom and a bathroom. 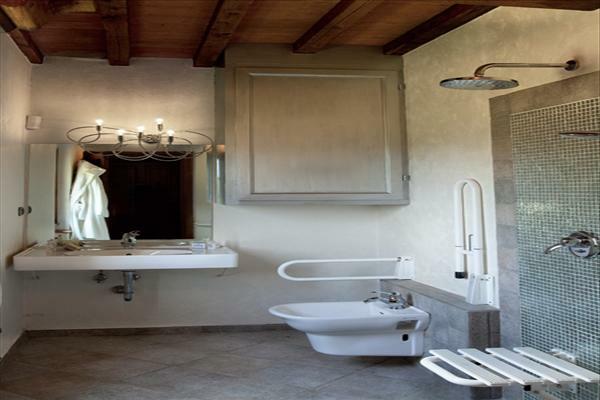 The apartment can also accommodate persons with disabilities. 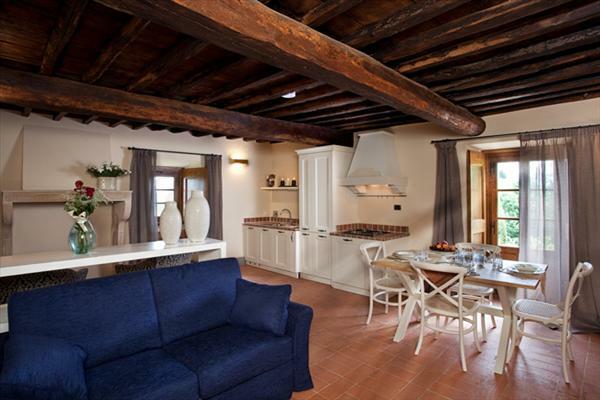 This unit can be combined with Unit 7 to accommodate larger families (sleeps 6 + 2). 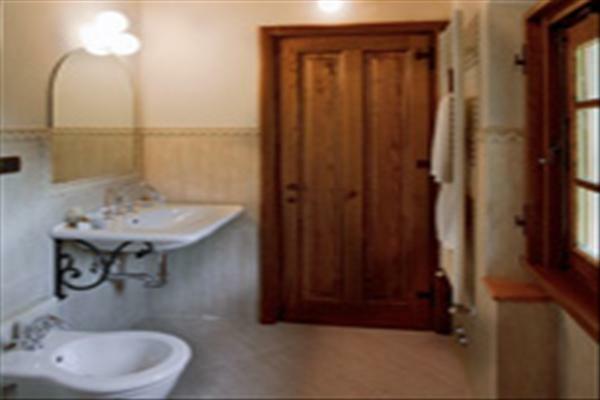 SLEEPS 3 + 1 adult or 2 children. 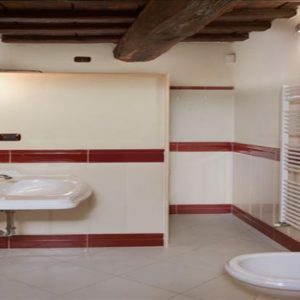 Located on the first floor of the tower. 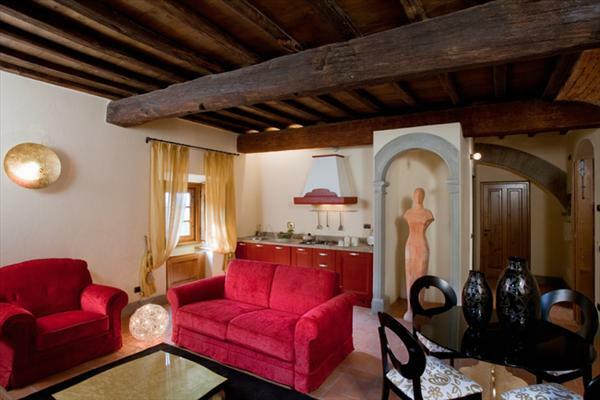 A two level apartment, composed by a large living room with a dining table and a kitchenette, on the first level. 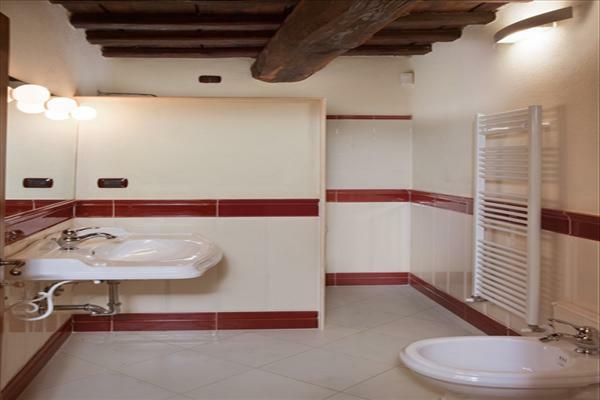 A double bedroom, a single bedroom and a bathroom on the second level. 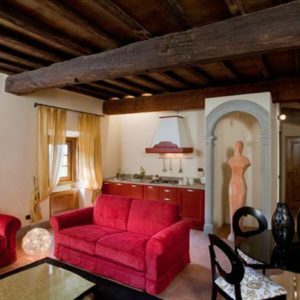 In the living room there is a sofa bed (120 X 190). 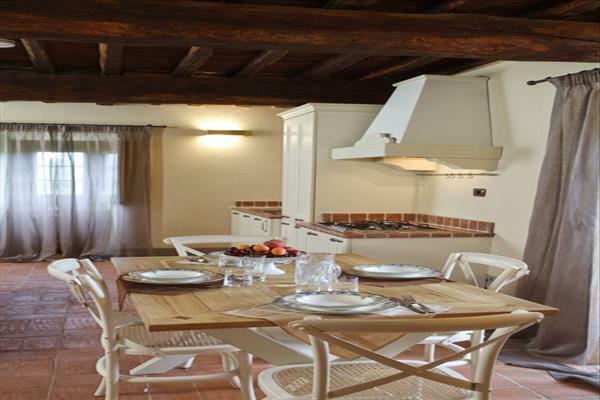 This unit can be combined with Unit 4 to accommodate larger families (sleeps 5 + 2). 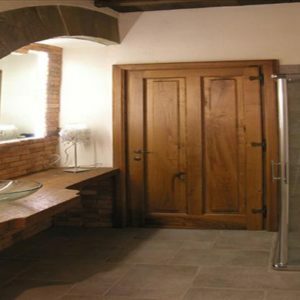 SLEEPS 4 + 1 adult or 2 children. 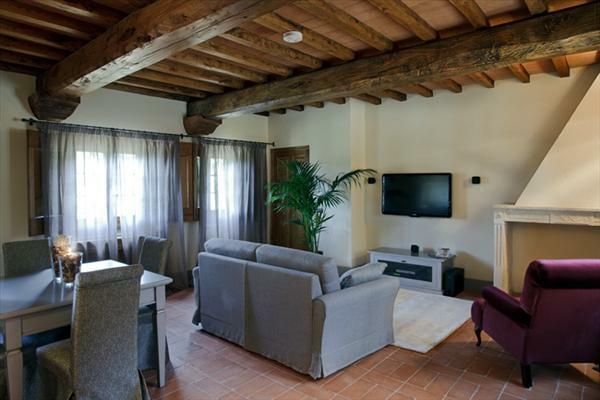 The apartment is located on the ground floor and is made up of a living room with a dining table and a sofa bed (120 X 190), a kitchenette, a double bedroom, a double bedroom with a three quarter bed (140X120) and a bathroom. 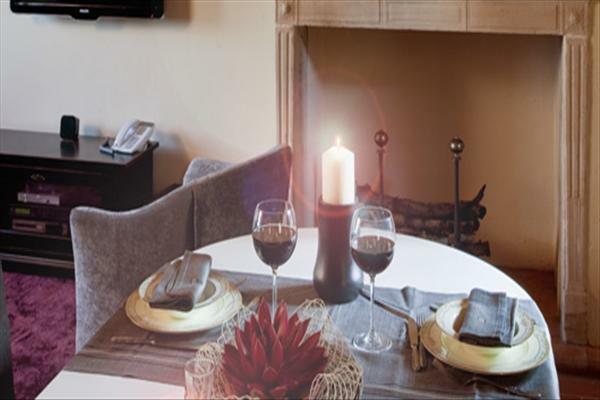 A French door gives access to a patio with a wonderful view over the garden where guests can enjoy outdoor meals. 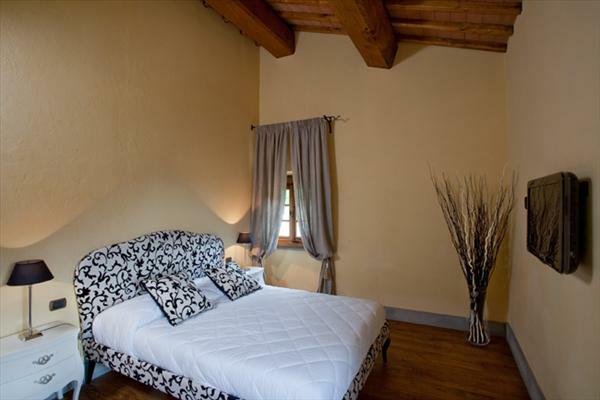 Can be combined with Unit 5 to accommodate larger families (sleeps 6 + 2). 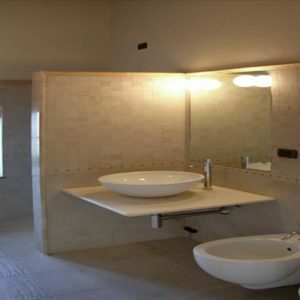 Prices starting from: $235 CAD daily.